I've always had a thing for Danica. She'll bounce back in no time, probably already has. 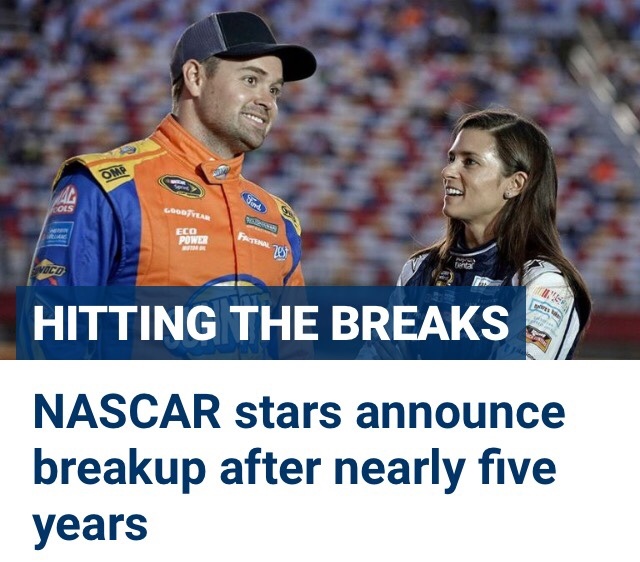 NASCAR drivers Danica Patrick and Ricky Stenhouse Jr. have ended their nearly five-year relationship, a spokeswoman for Patrick confirmed to The Associated Press. Patrick, who announced her retirement as a full-time driver at the end of the season, was a no-show at the NASCAR awards ceremony in November, where Stenhouse was being feted for making the series' playoffs. This led to speculation that the pair were no longer a couple. Patrick had not commented about the breakup on social media as of early Monday afternoon. Her latest posts that went up in the morning were promotions for a winery she owns.